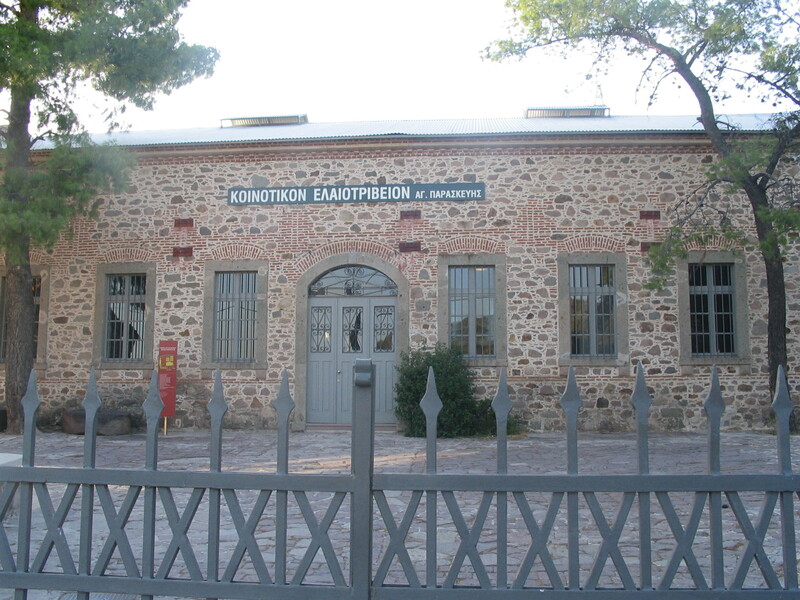 The Museum of Industrial Olive-Oil Production in Lesvos (MBEL) in Agia Paraskevi, on the Island of Lesvos, has been founded and designed by the Piraeus Bank Group Cultural Foundation (PIOP), which is also responsible for its operation. 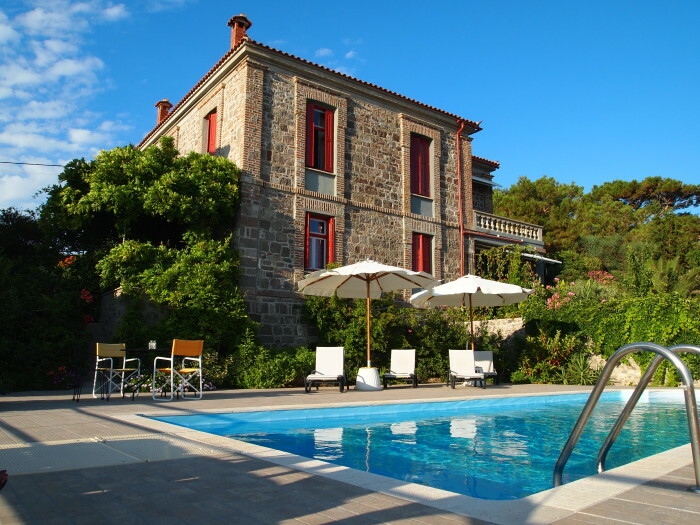 It is housed in the premises of the old communal oil-mill — the Municipality of Agia Paraskevi having ceded their right of use to the Foundation. The project has been included in the 2000-2006 North Aegean Regional Operational Programme and has been financed by the Third EU Structural and Cohesion Fund. This Museum is part of a network of thematic museums of technology created by the Foundation and is a natural extention of the Museum of the Olive and Greek Olive Oil in Sparta. 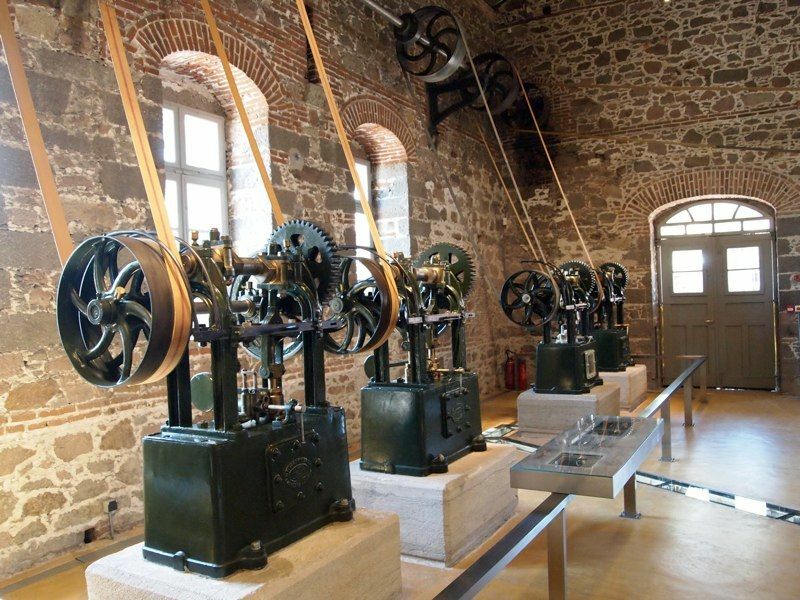 The Agia Paraskevi complex has been developed as “an oil-mill turned into a museum of an oil-mill”, restoring both its architectural and mechanical features to their original condition. The old machinery and equipment that have been preserved, and fully restored, are being exhibited in a unique way by being put into use for demonstration’s sake, which is supported by digital shows. One can witness the development of the various machines, while special emphasis is given to the changes the introduction of mechanical power brought into the process of oil-production. In the main building the three basic steps of the oil-production process (crushing the olives, pressing the olive-pulp, separating oil from water) are shown, while reference is made to the auxiliary operation of the flour-mill. The former storage areas of the olive crop are used as auxiliary exhibition halls, in which exhibits present the human element involved in oil production. 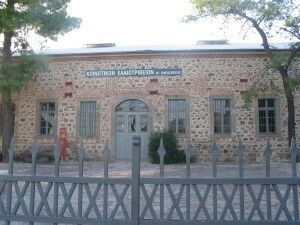 The larger storage areas hold detailed exhibits of: a) the history of the communal oil-mill of Agia Paraskevi, noting especially the communal ownership of the mill — a quite novel development for the time, and its effects on the social and economic structure of the area; b) the mechanization of oil production in Lesvos; and c) the wider socio-economic background. In the smaller storage areas the full cycle of trades involved in oil production is presented. The Museum has also a hall for hosting various types of events, a cafe, and a small open-air theatre. The Museum of Industrial Olive-Oil Production in Lesvos aims at presenting the industrial heritage of the island, not only in the oil-production section but also in the wider field of technological development, as well as projecting it against its architectural, social and cultural background.